How long will it take you to finish my patio? A patio is an excellent addition to any home. Patios can be designed to fit within any space, whether you have a small or large area. Likewise, a patio can be designed to work with every home design. It means, having a patio can be as functional and as decorative as you wish, having it next to a fancy mansion or a regular 3 bedroom home. Great, a patio is worthy of your money and can give you a perfect place to relax anytime of the day all year round. Did you know that some homeowners host events in their patios? Yes, and it’s the perfect venue! You have a living space where you can comfortably move inside and outside without too much hassle. 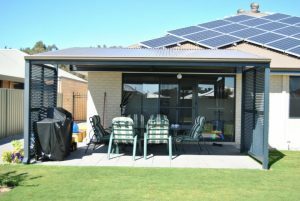 Nevertheless, a patio is a good investment, enhancing your home’s appearance and creating a quality life especially for Aussies who love being outdoors. If you are considering having a patio, your concerns would probably be about the cost, the design and lastly, the time it will be finished. So, what is the expected length of completion? When will you be able to start enjoying your patio? Patio builders and installers can give you an estimate as to when the job will be finished and will stick to it. They will do their best to finish the job on time or, rather earlier without sacrificing the quality. The design of the patio should not interfere with the date of the completion. Professional builders know how to handle intricate details and will do it as scheduled. However, changes in weather can alter the patio installation, but the company will keep you updated at all times. If there are also changes you want or other features installed that you didn’t discuss before the contract, it will also slow down the progress. In general, patio builders will keep to their schedule so it will not take long before you can see your patio coming together. It will depend on when you order your patio – ask for a free measure and quote from CPR Outdoor Centre and we will let you know when the completion date will be. We can do an obligation free onsite inspection and discuss your patio needs and advise on your options. Ring us today; we’ll be glad to help you out, anytime, any day! 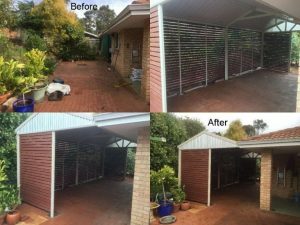 5 Spring Cleaning Tip For Your Patio	Looking For A Quality Patio in the South West?